Summary: Even vampires need fluffy friends to keep life interesting. Disclaimer: Work is all from my own imagination. Any resemblance to other characters or situations is coincidental. Notes: Original work, set in the same universe as The Best Parts of Existing, which I wrote for last year’s consci_fan_mo. You don’t have to have read that to follow this one, but it might help. The salient details are: Mat is a French-Canadian vampire and works as a pathologist at the local hospital. That’s really all you need to know to follow this one. If you’d like to read more about him, you can check out this tag. Also, here’s a picture of Louis. Disclaimer: I do not own any of these characters, I just like to take them out to play. Summary: Emma and Killian start some Christmas traditions. Author's notes: Written for consci_fan_mo. The timeline of OUAT is a thing of great and terrible beauty and I have no idea how much time is meant to have passed in Storybrooke this season, but I’m assuming there’s some sort of time discrepancy between worlds, and just went with what worked for my story. If necessary, apply magical hand-wavy AUness. Summary: It's Storybrooke's first Thanksgiving, and Emma is finding trying to be a domestic goddess more difficult than she anticipated. Summary: Peggy is about start a family, while Jarvis is quite happy with the one he's already created. Author's notes: This was a weird one to write. I can't even remember why I started writing it, but I wrote the whole thing, decided I didn't like it. So I chopped off the second half and wrote an entire different ending, with an entirely different message, and now I like it a lot more. Editing! I've gone ahead and assumed that Daniel Sousa is who Peggy ended up marrying. I would hope she wouldn't have another heartbreak in her life before finding her husband. This set probably late 40's early 50's? Maybe? For reference, Hildi looks like this. Summary: Archie tells a tale with no beginning and no end, for posterity’s sake. Author's notes: I had a really bad migraine over the weekend. And, while I was lying in bed with my brain fuzzy, it decided that Nero Wolfeand Agent Carter should be crossed over. I have literally no idea why I was even thinking about Nero Wolfe, but when I sat down to write it, I did the whole first draft in twenty minutes. So, here we are. Starting 2016 off with a weird crossover as my first story. It’s been many moons since my Nero Wolfe fandom days, but I did a little brushing up on media, and I hope Archie’s voice sounds okay. I aimed it more toward the TV series than the books, just because it was easier to hear Timothy Hutton’s voice in my head. Nero Wolfe is a tiny, tiny fandom, at best, so if you are unfamiliar with it, I’m not surprised, and you might be lost reading this, as it's all from Archie's POV. I highly recommend getting your hands on some of the books, or the A&E tv series. They are both fantastically entertaining. Summary: The Stark Christmas party is always the affair of the season. And no one need know the effort that goes on behind the scenes to make it that way. Author's notes: This is set in 1974, so Tony is approx. four-and-a-half or there abouts. Fun fact: the period key on my keyboard broke near the end of writing this, and now there's just a big hole there. But it's working, somewhat, so I write on. Written for consci_fan_mo, and the cut links to there. All was calm within the party, however, and it was for the best if no one knew how close it was to chaos. Spoilers: Avengers: Age of Ultron, and possibly other bits of the MCU. Summary: A slip up in battle causes Steve Rogers to become a temporary thunder god. Author's notes:This is a daemons!verse fic. Knowledge of His Dark Materials is not required. All that's necessary to know is that, in this world, humans' souls live outside of their bodies in the form of animals. There's an excellent primer here. 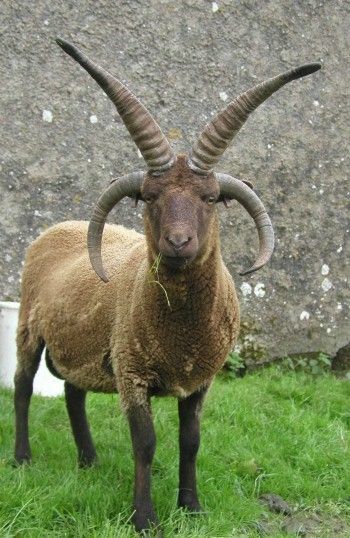 For reference: Ishild ("Issie") (A Teddy Roosevelt terrier), and Svana (a kind of alien version of a Manx loaghtan sheep). This is set post-Ultron, but other than that...no idea when or if it might fit in the timeline. Written for consci_fan_mo and the cut links to there. Steve has his hand out to catch his shield, but hitting Mjølnir sent it off wrong, and he's caught something that isn't his shield. Summary: Jarvis comes home from an unusual day of satisfying his employer's whims, to find a rather large surprise waiting for him. Just in time for his birthday. Author's notes: This is perhaps the only 'normal' story to come out of the crossover memes joonscribble and I did a while back. One of the questions was about a surprise party for Jarvis, and that seemed like the fluffy goodness I enjoy. It turned out to be quite a bit harder to write than I thought, due to the amount of characters I had to juggle. I think this is the fourth version. I hope it all reads okay in the end! Set in 1973, or thereabouts. I have no idea what Jarvis' age is meant to be, so I've avoided mentioning it, and I've also left a blank for Peggy's husband's name. Tony is about three, and everyone else is around mid-fifties, I'm guessing, except for Maria, who is late-thirties. Jarvis' cuff links are based on a real Paul Flato deisgn, and look like this, for those curious. Summary: Abby's dance camp is having a family day. John and Mrs Hudson show up to be proud, but it remains to be seen whether Uncle Sherlock is going to join them. Author's notes: Set in the Abby 'verse. A visitor to my journal (I don't know how to link to Google+ users, sorry!) mentioned she'd liked to see an 'Abby's first dance recital' fic. Inspired by some of my memories of summer dance camp when I was little. It also gave me a chance to do more with Mrs Hudson in this 'verse. Short and fluffy. Summary: Sherlock keeps Abby busy so John can finish a column, and does his best to answer her questions about fish, belly buttons, mermaids, and the moon. According to the timeline I had to make to stop confusing myself, Abby Watson was born on April 20, 2015. So, in honour of this, have the fluffiest of fluff. This stemmed entirely out of a random snippet of conversation I had in my head between Sherlock and Abby, which I tried to work into three or four different fics, before just letting it run wild on its own and seeing what happened. Which is fluff. Fluffy fluff. I was also inspired by a few tumblr and reddit posts involving questions and kids. I thought Sherlock would be good with fielding those sorts of questions. Summary: Molly attends her first school Nativity play as the wife of a teacher. A lot of the time I have story ideas for Molly and Alec, but when I write them they just sort of head into a territory of 'happy, but not really having a point'. But I thought that sort of story might be okay around the holidays, so here's a fluffy story about Alec and Molly being cute and happy. The Drezeler-Jones family have previously appeared in "40 MPH" and the wedding fic, which can be found in the bottom section of the link above if you need a refresher on the massive collection of OCs I have. Summary: Mycroft pays a visit to Baker Street on Hallowe'en and discovers a doctor princess, an unwelcome dog, and, perhaps most frightening of all, a brother who is nice to small children. Just total fluff, I don't even remember what inspired it, except that I don't feel like Mycroft has enough to do in this verse, and I had an idea of Abby celebrating Hallowe'en. So, here, have some brotherly bonding and a small toddler in a costume. Thanks to joonscribble for chattering with me and inspiring Abby's choice in stickers. Summary: Sherlock and Siger make friends with an inhabitant at the beach house. Author's notes: Set in the Trio 'verse. Part two of the 'Siger + small Holmes brother' trio, Sherlock and Siger this time. Mycroft and Siger are here. Summary: People were always surprised by Captain America's daemon. Author's notes: I was reminded that I wrote this last night, and realized I never cross-posted it. It was written for consci_fan_mo last year. This is a daemons!verse fic. Knowledge of His Dark Materials is not required. All that's necessary to know is that, in this world, humans' souls live outside of their bodies in the form of animals. There's an excellent primer here. 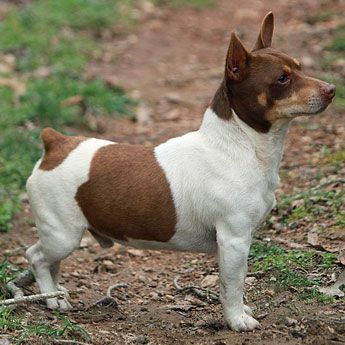 For reference: Ishild (A Teddy Roosevelt terrier). Summary: Abby starts preschool, despite Sherlock's feelings on the subject. So, this story is not the story I set out to write, but Sherlock suddenly hijacked it and had, like, feelings, so I just let it go where it wanted. I think we're at the point where all the stories I've been writing get finished at the same time. Sorry about that. Summary: Molly and Alec are getting married. The Best Man and Matron of Honour are there to help. Okay, so, this is the wedding fic I've been hacking away at. It is in two parts: ceremony and reception. This part alternates between Sarah and Josh's points of view. Summary: Alec's day out with his godson includes a run-in with Sherlock Holmes. Who turns out to like toffee and knows about dinosaurs. Okay, so this is a tiny story that has absolutely no plot. It is here solely to introduce Reed and Josh, because they are big players in the next fic and I felt like we should meet them rather than throwing them out there. I googled random fic prompts because nothing I was doing was working out, and I got the prompt of 'zebra' and 'toffee'. This is the result. Josh's wedding ring looks like this. This is relevant. Summary: Sherlock gives a Best Man speech. Of sorts. Author's notes: Written for shadowfireflame, who asked for 'What is Abbyverse Sarah's favorite memory of Sherlock?'. I'd just like to say that I wrote this before Series Three, proving once again that I am psychic or the Sherlock writers are reading my fanfiction. Summary: Love in the exotic fruit aisle. Author's notes: Written for joonscribble, who asked for 'The first time Alec or Molly or both said "I love you" to the other.'. Summary: The madman with a box comes back to take Molly for another spin. Author's notes: Moving my consci_fan_mo stuff over. This is a sequel to a story I wrote for there last year, Universal Truths. There are a few references to it, so it might make more sense if you've read that, but I don't think anyone will be lost without having done so. Inspired by an image prompt (below the cut). Summary: Alec has a question to ask which he doesn't quite accomplished as planned, but Molly has the most definite answer she's ever given. Author's notes: Set in the Abby 'verse. OMG, so much fluff that I think I blushed while writing it. Seriously. Last story of 2013! I have ended on a very fluffy note, which seems a good cap to this year's theme. Thanks to everyone who read and commented on the many, many stories I posted this year, and egged me on and generally supported me. Happy New Year, and Happy Sherlock Series Three!